That’s right, Outlook doesn’t actually have this feature available out of the box. 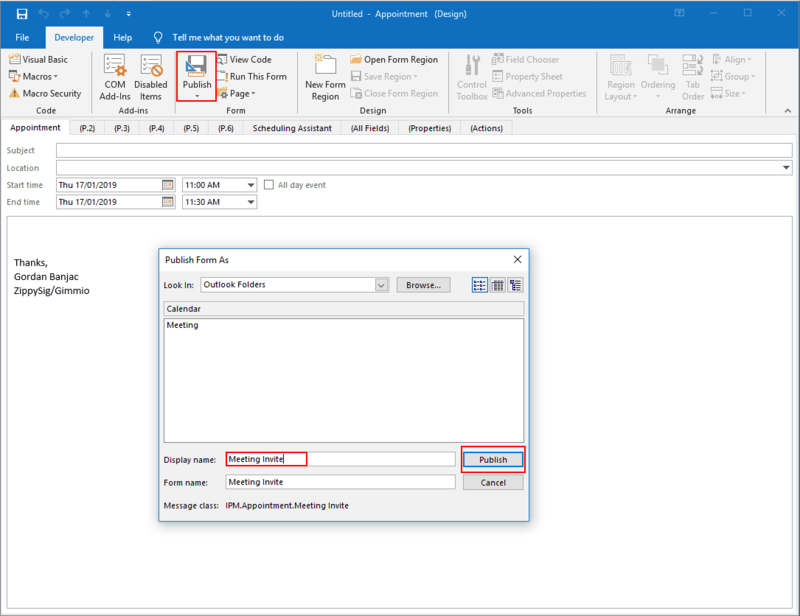 The only way to get an email signature to be automatically appended to an Outlook meeting invite is to create a new custom form and use that form whenever you send out meeting invitations. 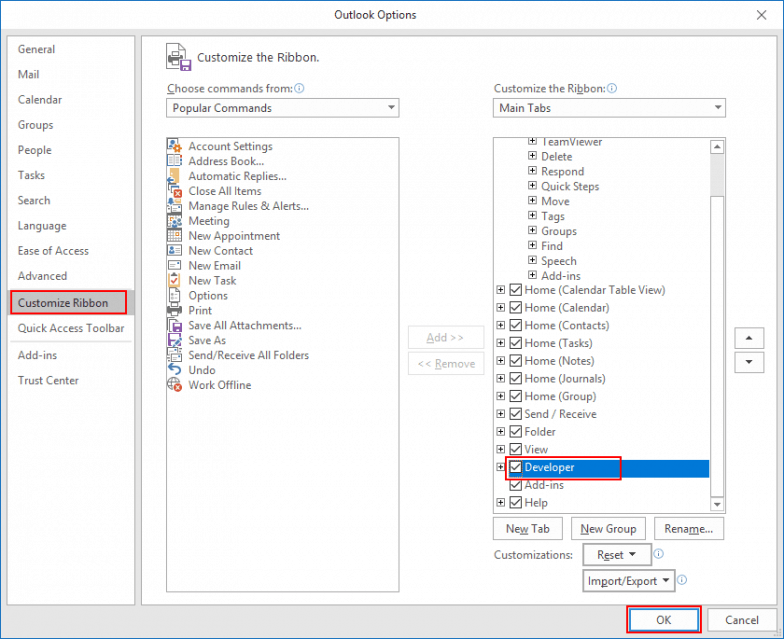 These steps work on Outlook versions 2013 – 2019. However, some older versions of Outlook also support this method, but the steps might be slightly different. 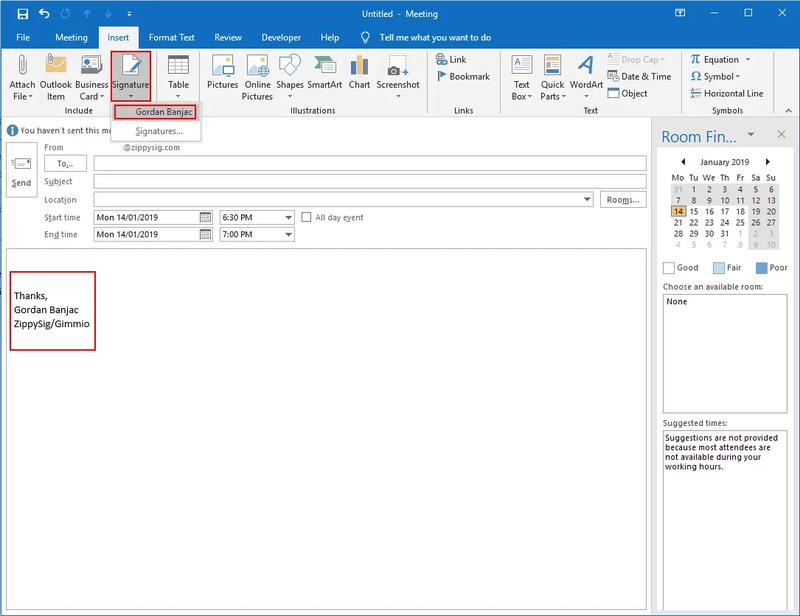 Firstly, you will want to open Outlook and go to File > Options > Click on Customize Ribbon from the left menu. On the right, under the “Customize the Ribbon” section, tick the box that says “Developer” to enable the developer tools. 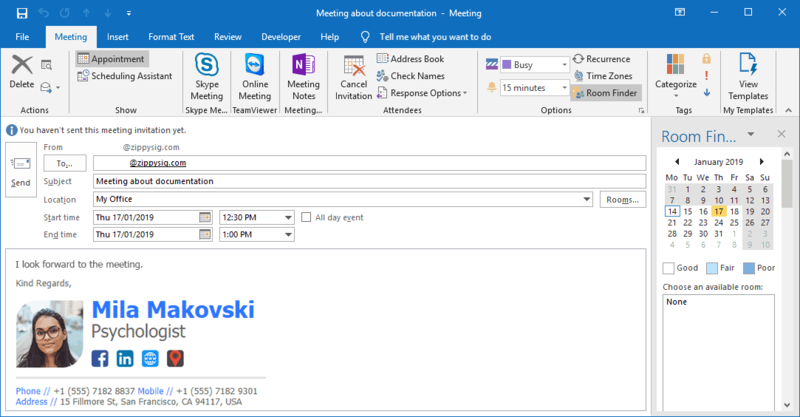 Next, go to your Calendar view and click on “New Meeting” in the top ribbon. 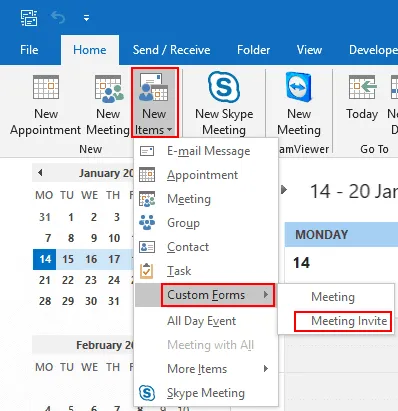 In the New Meeting window, click on the Insert tab. Click on the Signature button and select the signature you want to insert. Next, click on the Developer tab in the top ribbon and then click “Design This Form”. On the new window that has popped out, click on Publish > Publish Form As. Close the new meeting window. You will be asked if you want to save your changes to the current meeting invite, click “No”. To use your new custom form, go to your calendar view, and in the top ribbon click on New Items > Custom Forms > Click on your saved custom form. 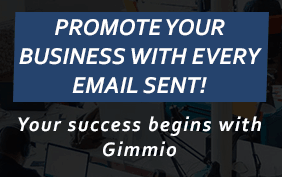 This will open a new meeting invitation with your email signature automatically appended to it.